Brunch is more than just a combination of breakfast and lunch. Brunch is a relaxed destination where guests can lose themselves in delicious food, good friends and great conversation. That&apos;s exactly what you&apos;ll get when you walk through the doors of Back Porch Grill & Tavern in Grapevine, Texas. 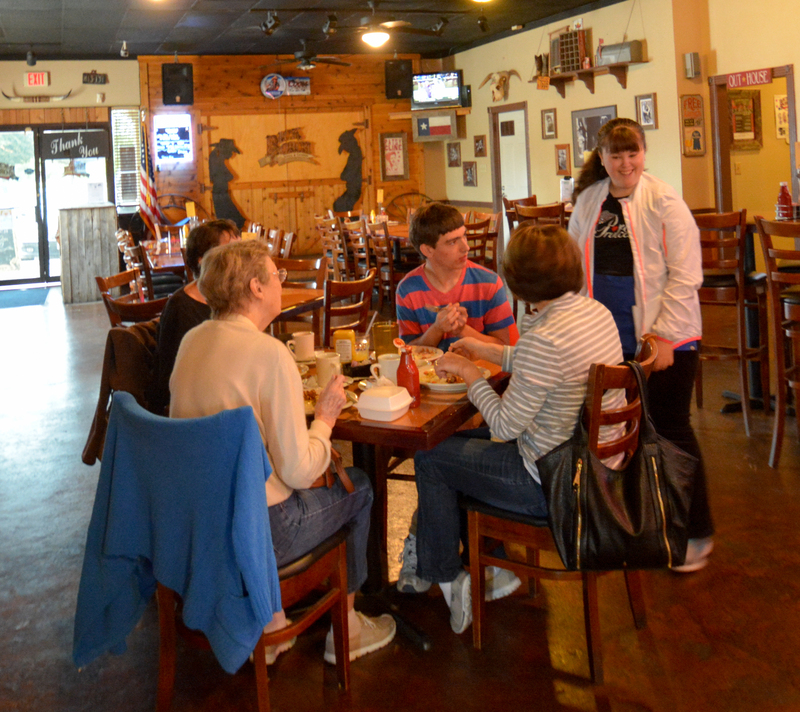 My visit to the Back Porch Grill & Tavern began with a warm welcome from each corner of the room the moment I walked through the door. I was seated and served a glass of water before I could say "omelet." Talk about service! The simplicity of the menu was probably the best part. 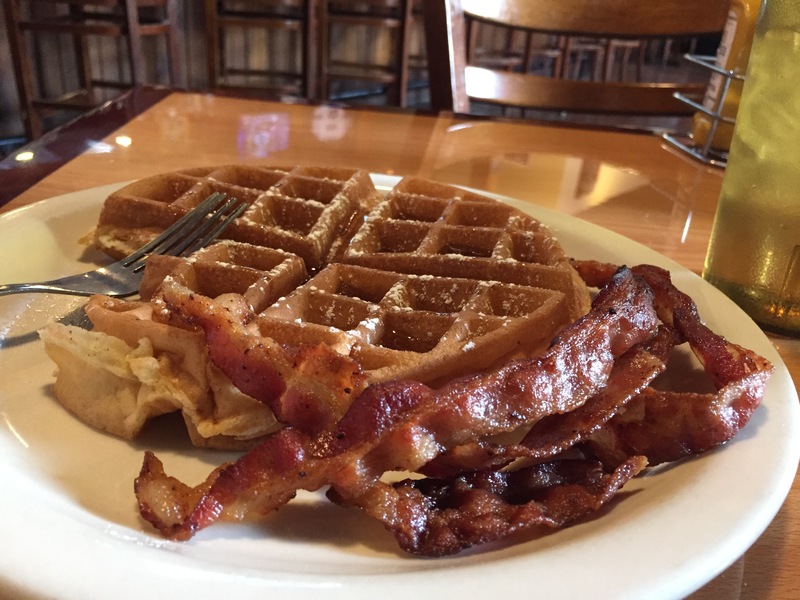 Visitors have their choice of fan favorites that include an omelet, waffles, breakfast burritos and even a hamburger for those that may come in closer to lunch. If you&apos;re coming in with a big appetite, you&apos;ll love that the entrees range from $8.99 to $10.99, including all-you-can-eat sides. That&apos;s a lot of bacon, my friends! I went with the lighter than air waffle with a side of sausage links. There was not a single morsel left on my plate by the time I took my last bite. Believe it or not, the food was just one small part of the experience. 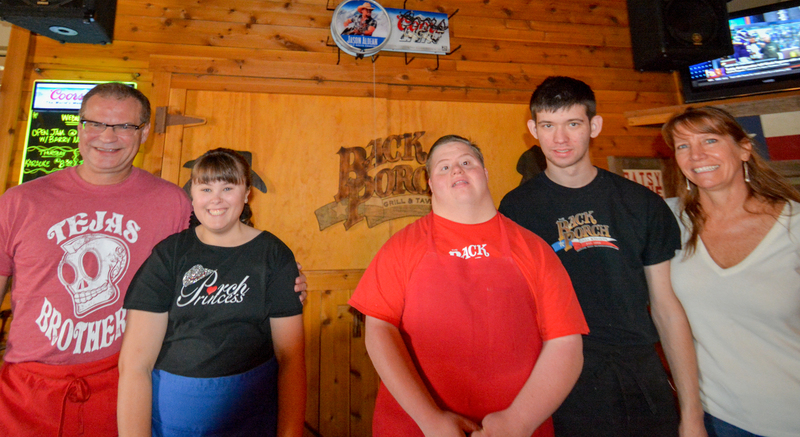 Robert and Wendy Rausch took over the Back Porch Grill & Tavern earlier this year with the goal of creating a place that welcomed everyone, including the members of their staff. 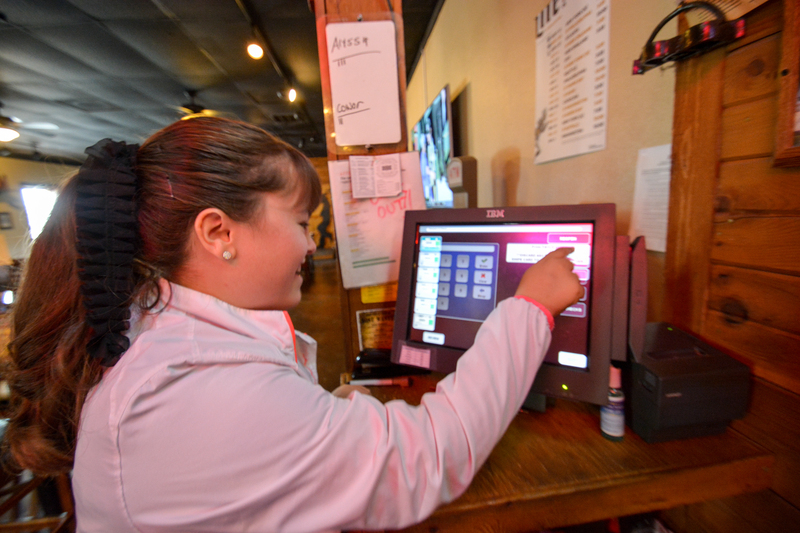 Each Sunday, from 10 a.m. - 2 p.m., the restaurant is filled with Special Team members that take orders, serve, cleanup, cook and operate the point-of-sale system that keeps the lights on and puts a smile on the face of every customer that stops by. Each step of the way, the team members were always eager to make sure the food was good and our glasses remained full of our beverage of choice. "Special needs kids are the best employees you can possibly have." Robert Rausch explained. "They want to be good at everything they do. 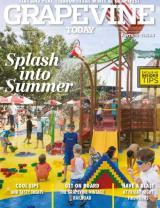 The kids genuinely love and enjoy each hour of their shift." His son, Connor, is a veteran among the Special Team that includes three friendly servers and two members of the kitchen staff. While each member of the team brings something unique to the table, the Rausch&apos;s unique approach to inclusion is a perfect example of why hospitality is legendary here in Texas. "I like getting the place ready because it&apos;s the easiest part of the job," said Connor as he sat side-by-side with his co-workers. "It&apos;s fun." Wendy Rausch considers everyone that works in the restaurant to be an extension of the family. With a smile that extended from ear-to-ear, Wendy revealed why Sunday&apos;s mean so much to her. "This is the favorite thing about my life right now," said Wendy. 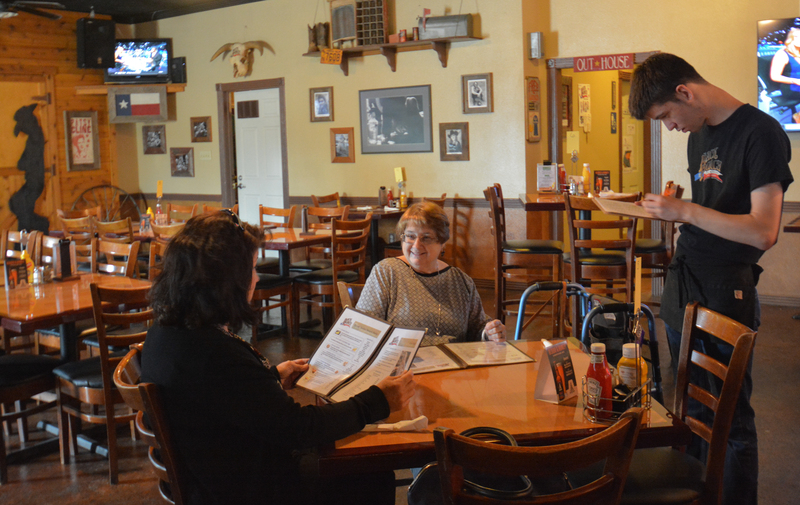 "One of my proudest moments was when Connor wanted to come in and do our regular menu. We made a special sheet for him that he could check off from the menu. It was amazing to see him take orders and do this without a shadow. It was awesome!" While the Rausches agree that running the brunch has had its share of ups and down, they remain steadfast in their belief that with patience and hard work, there is nothing that their team can&apos;t do. So the next time you find yourself in Grapevine on a Sunday morning, say hello to my new friends at the Back Porch Grill & Tavern. A place where you&apos;ll leave with a full belly and a full heart. Friday - Saturday 11 a.m. - 2 a.m.
Sunday - 10 a.m. - 10 p.m.